Ilford Galerie Graphic Satin Photo RC Paper is a medium weight premium photographic quality inkjet paper designed for high end photo printing using pigment inks. Ilford Galerie Graphic Satin Photo RC Paper is a medium weight premium photographic quality inkjet paper designed for high end photo printing using pigment inks. Designed to offer high printer specific performance and excellent image quality. 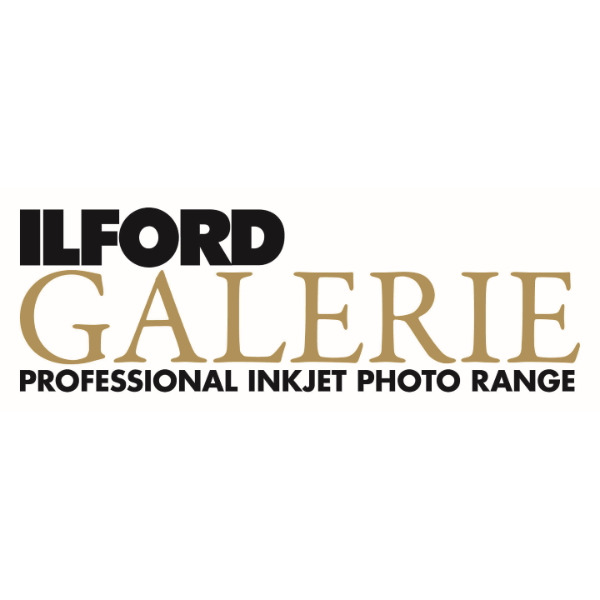 Ilford Galerie Graphic Photo RC Paper Satin (200gsm) - a roll of 24" x 100' (61cm x 30.5m) inkjet photo paper. Designed for use with desktop and wide format inkjet printer systems using aqueous pigment inks from major manufacturers.